A major investigation by Inside Housing casts light on the hardship faced by many housing workers today and strengthens the case for pay claims of 5% in the sector. Housing problems hit staff living in private rented accommodation particularly hard but even higher earners and home owners reported problems. The majority of housing staff spend over 30% of their pay on rent or housing costs and 7% spend more than half their earnings on putting a roof over their head. The report details the kind of debt and related stress issues the surveys of employers in our branch have highlighted. The investigation was prompted by a comment made by Notting Hill Housing’s Chief Executive Kate Davies in an interview noting that some of her own staff were homeless reflecting the seriousness of the housing crisis. In response to the new investigation she argues out that; “If the average salary is £26,000 to £27,000, that only sustains £700 a month [on housing costs]. Wages would have to be doubled to make any difference whatsoever,” and points to her associations loans for deposits given to staff in private rented accommodation. Loan schemes can be helpful and are to be welcomed but do not represent a case against serious pay increases. Kate Davies does not make the point, but it would be true to say that government housing policy is a key part of the problem but housing association employers could help more. Over the last year housing associations have cut staff costs by 6.6% last year; increased levels of stress and hardship should be no surprise. Meanwhile surpluses rose by 15.6% and operating margins are over 30%. Housing associations can afford to pay more. Unite Executive member and LE1111 branch secretary Suzanne Muna called on management to review their position on pay, "For too long associations have squeezed staff pay and squeezed terms and conditions. Some refuse to recognise trade unions. Boards and management need to reconsider their position on pay and how they treat their workers. They are undermining their credibility as accountable organisations with a social mission. 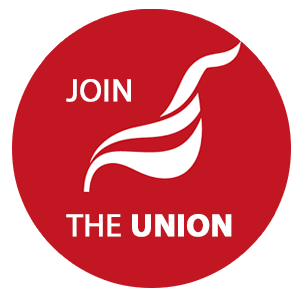 Unite will support staff who feel forced to take industrial action to address this scandal."